This entry was posted in Art, Books, Comedy, Counterculture, Film, Football, London, Music, Nostalgia, Poetry, Radio and tagged Bob Stanley, cult film, cult radio, cultural casserole, John Peel, Mark Kermode, Mark Radcliffe, Melody Maker, NME, Peel Sessions, Radio One, Simon Armitage, Will Self. Bookmark the permalink. Never forget that without Peel, there would be no interesting DJs. He made it acceptable to play anything, just for the hell of it, in an era when interest and alternative were otherwise playlisted off the air. In an era populated by the banal, he was a glorious flat voice of insanity messing up the evenings. He’s sorely missed. @ Joe Taylor – you got in ahead of me there; I used to enjoy ‘Out On Blue Six’ too…in fact I’ve got an hour long cassette somewhere of one of them (included UK Subs ‘Stranglehold’ covered by Die Toten Hosen and a delightful Barry Andrews tune called ‘Rossmore Road’)..maybe I’ll upload it somewhere one day. I’ve also got a recording of one of the later shows with guest Mr. John Shuttleworth which was hilarious. I stopped following Mark R. after that, but I do remember admiring the way he tolerated Iggy Pop in dickhead mode post-show one year at Glastonbury on the BBC. 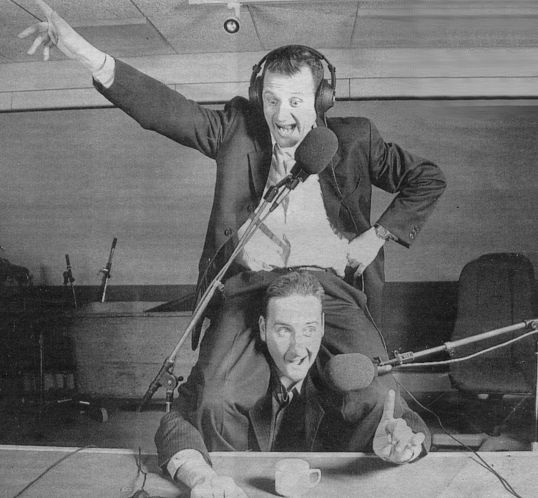 I was a fan of all the aforementioned DJs – Peel (in his weekday evening slot), Mark & Lard on Radio 1’s Out On Blue Six, breakfast show and Radio 5 (which always annoyingly drifted in and out), Annie Nightingale (after-the-charts, after-the-essential mix and Annie On One). They all shaped me to a certain degree and I wouldn’t be who I am now without them. I was also listening to ‘Luxy’ (and the “Oxy-cute ’em” spot cream adverts) on a mono radio in 77′ and the BBC stations closed down at midnight. 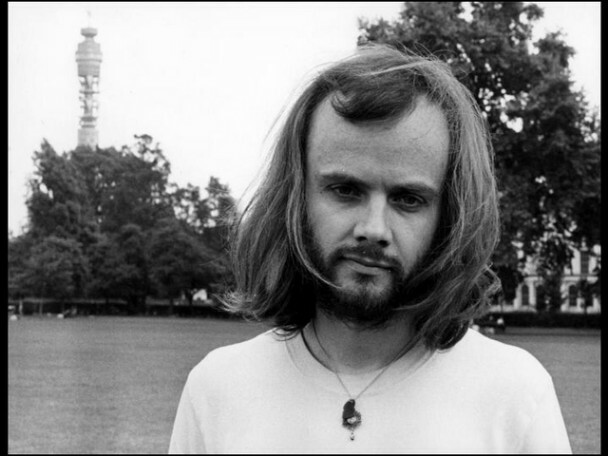 John Peel perhaps opened the doors for a lot of artists but it did take me a while to ‘enjoy’ his shows growing up. His influence is staggering though and it’s a much sadder world without him. Annie Nightingale and Mark Radcliffe have a similar approach to Peel i.e. Good music is good music – fashion means nothing and (I’m happy to say) this philosophy has been continued by BBC Radio 6.
good article, well-written and I agree. I enjoy 6 music these days, but most mainstream radio is still pretty soulless to say the least (although you have some very good local DJs/shows around the UK), so for me the legacy of Peel, Radcliffe and co is that I search for, and discover, some great DJs thanks to internet radio and podcasts (soundcloud/mixcloud/podomatic to name a few places). …and another guy really dedicated to his craft and inspired by Peel is Chris Nash who does a weekly show on 6 Towns Radio. also look for The Real Music Club podcasts with Roy Weard and Tim Rundall among others. Cheers ! I started listening to rock in the early 1970s and my friends and I thought Peel had appalling taste in music. The golden age of British music was the period 1967-1975. Peel was an old hippie. He liked Medicine head and Marc Bolan and folk music. Peel did not like heavy metal, prog rock or anything we listened to. It was waste of a time slot because he mostly played crap. Mostly it seemed to be Obscure folk groups. You could not hear Led Zeppelin on daytime Radio One in those days. There was nowhere to listen to the music we liked. I did not listen to his shows after I left university in 1978. By that time he had morphed into a fan of punk and reggae. His shows in the early 1970s were whiter than white but suddenly he liked black music. I always thought he was an opportunistic fraud. A lot of the people he championed played very simple music, like The undertones. I also blame him for helping to dumb down British music.